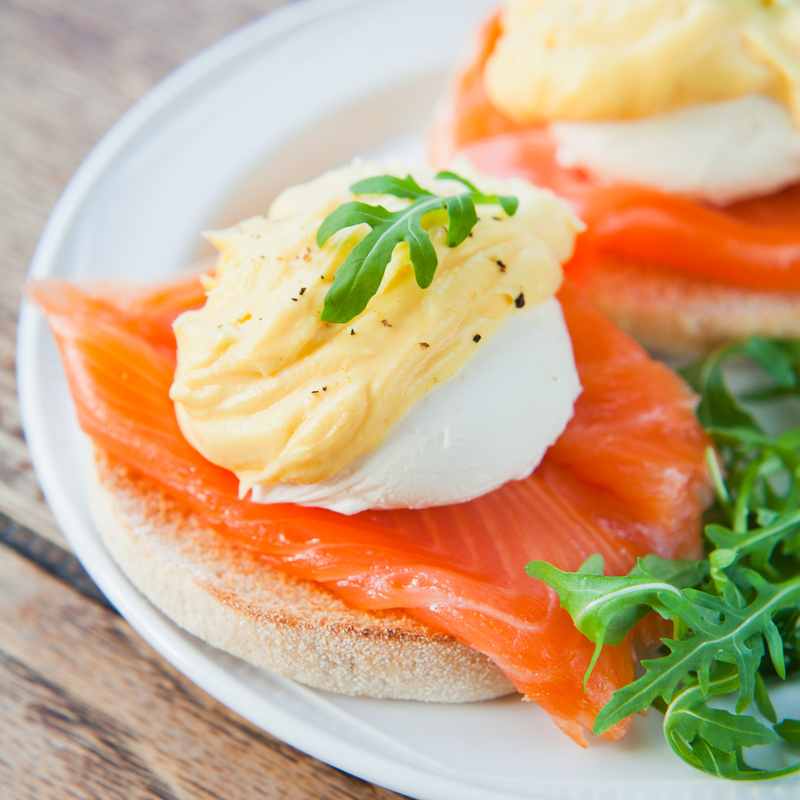 Eggs Benedict – Poached Eggs with Hollandaise Sauce, cream cheese, arugula, fresh pepper and Smoked Salmon on a Gluten Free English Muffin. Perfect for healthy breakfast. This is easy–try it with one of our Gluten Free English Muffins, a poached egg, a little slice of smoked salmon, cream cheese, arugula, and a jarred hollandaise sauce (check the ingredients!) Virtually no cooking and absolutely delicious. ***reminder: free ground shipping on orders of $35.00 or more from our website!